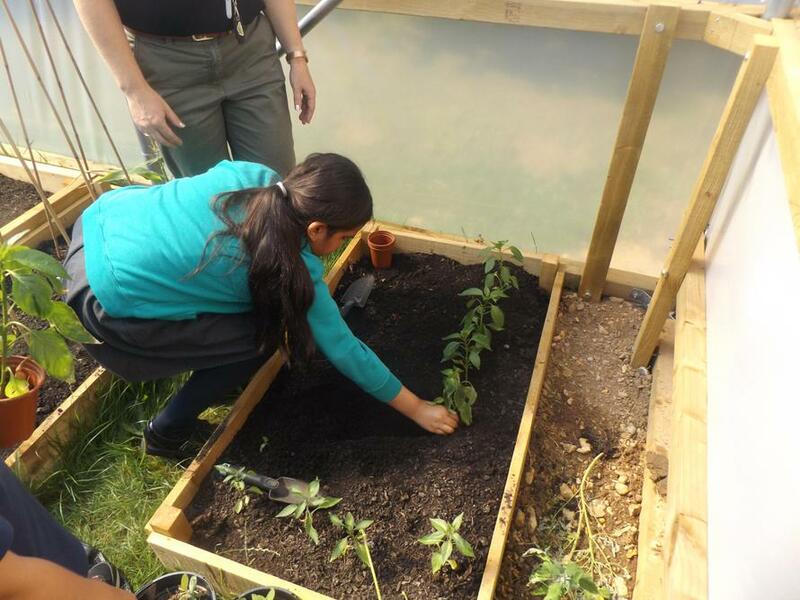 For our allotment area we chose an unused area behind the school. 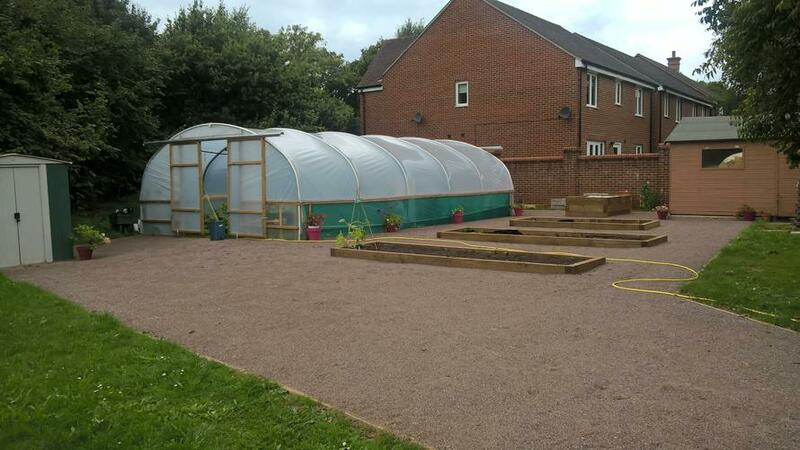 The area needed to be close to a supply of water, be accessible for the children and be in a sheltered but sunny location. 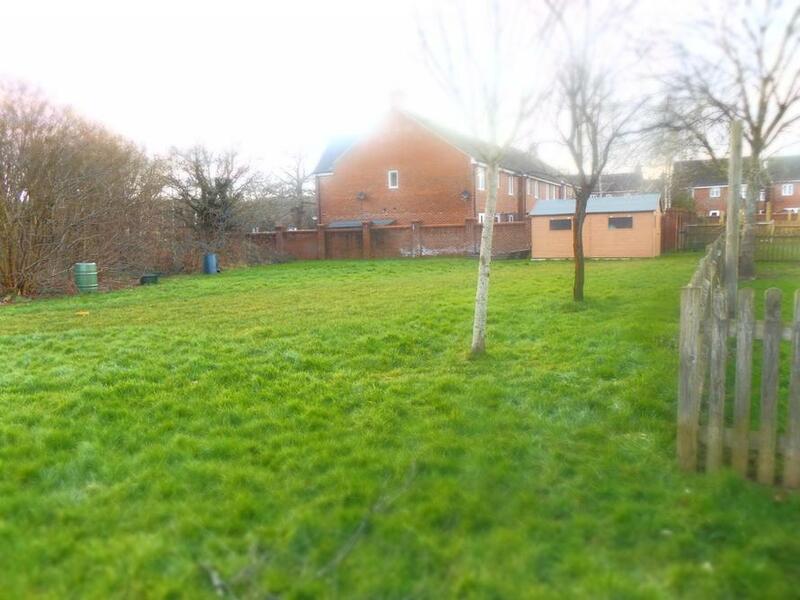 This is the area before we started work. 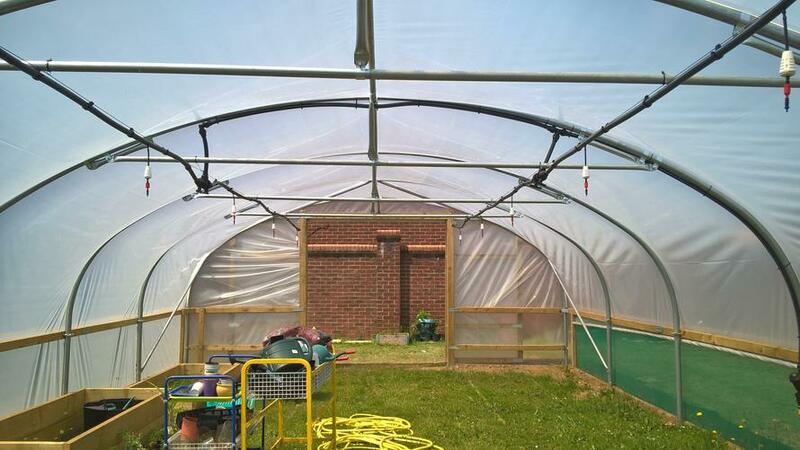 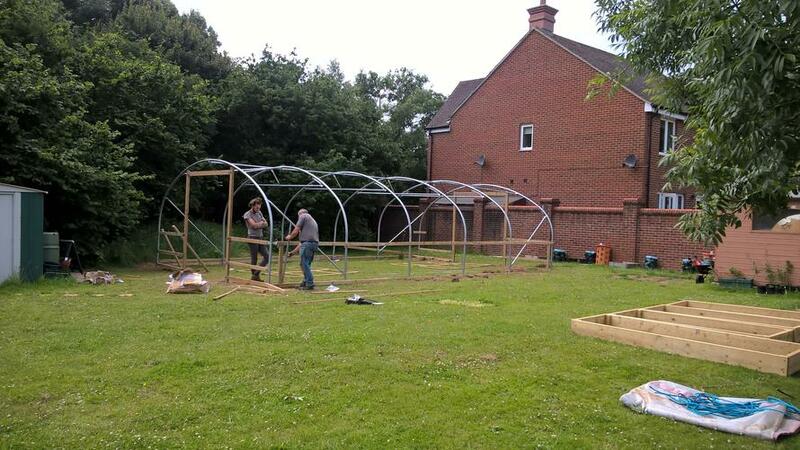 After much deliberation, we decided a polytunnel would be good as an outdoor classroom. 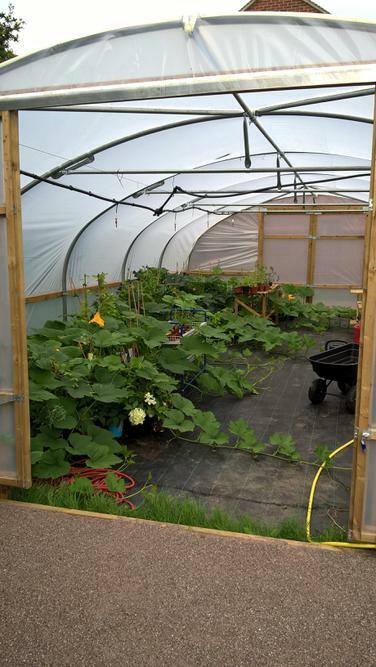 It would be big enough to house a classroom of children in all weathers and would give us somewhere secure to start our young plants off. 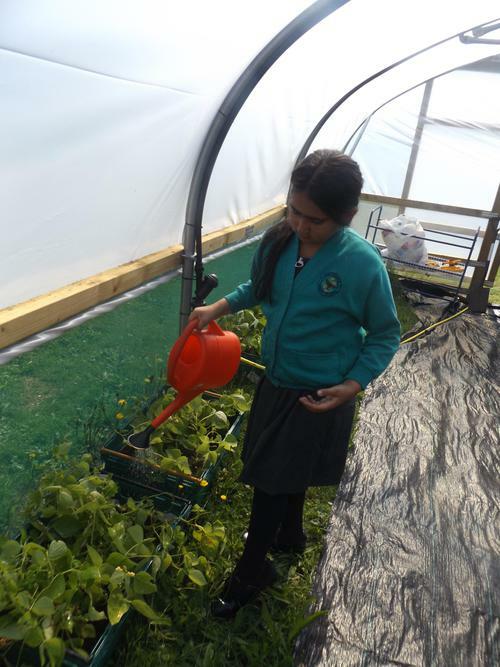 We also went to visit another school to look at their polytunnel to make sure it would work well at our school. 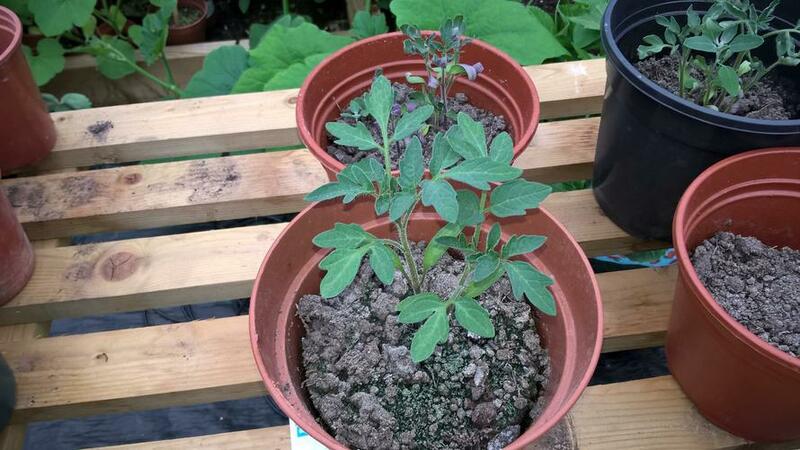 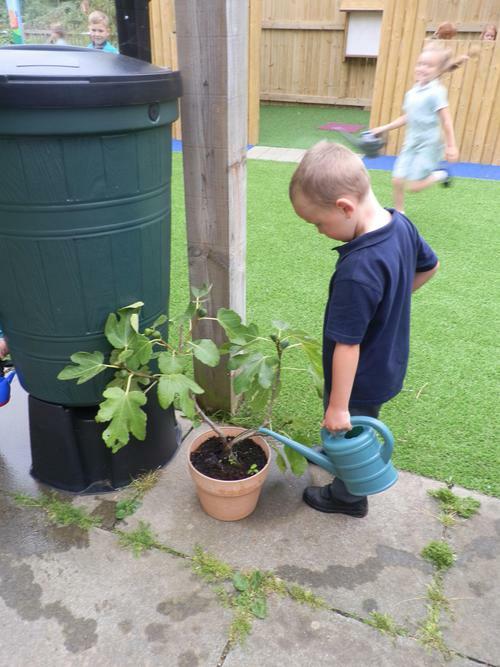 It is really popular with the children and they are starting to grow. 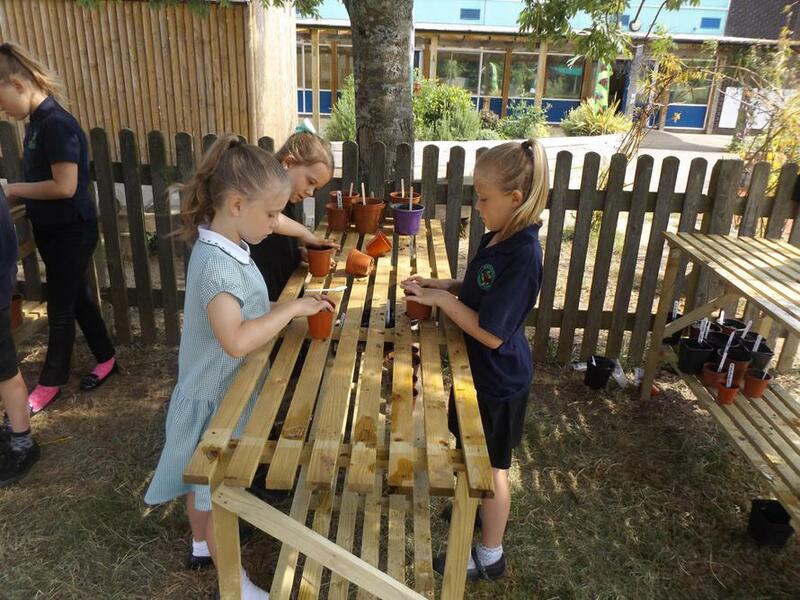 Construction started during the summer half term and planters have been made to go inside as soon as it is ready. 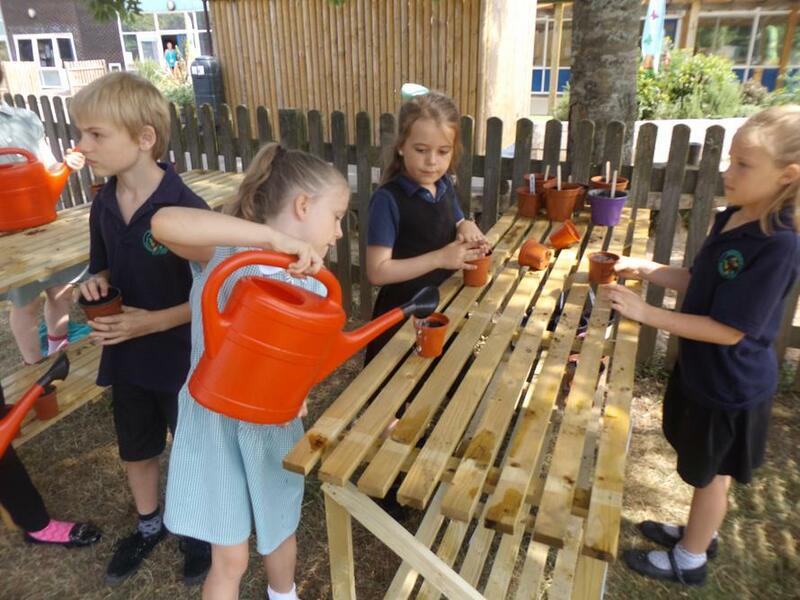 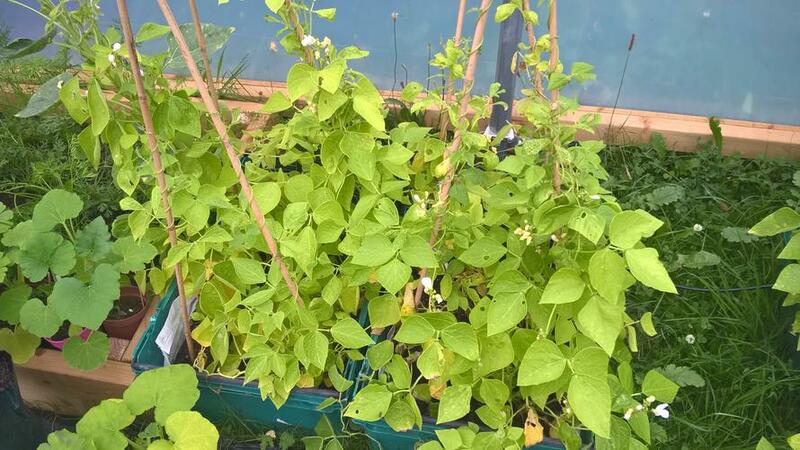 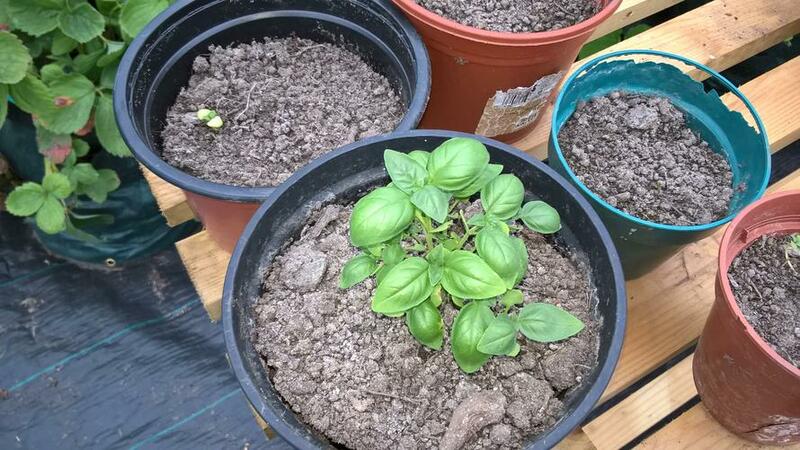 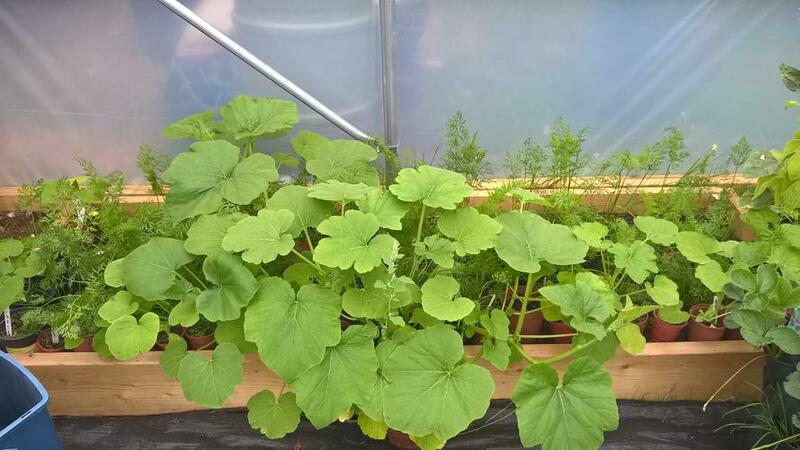 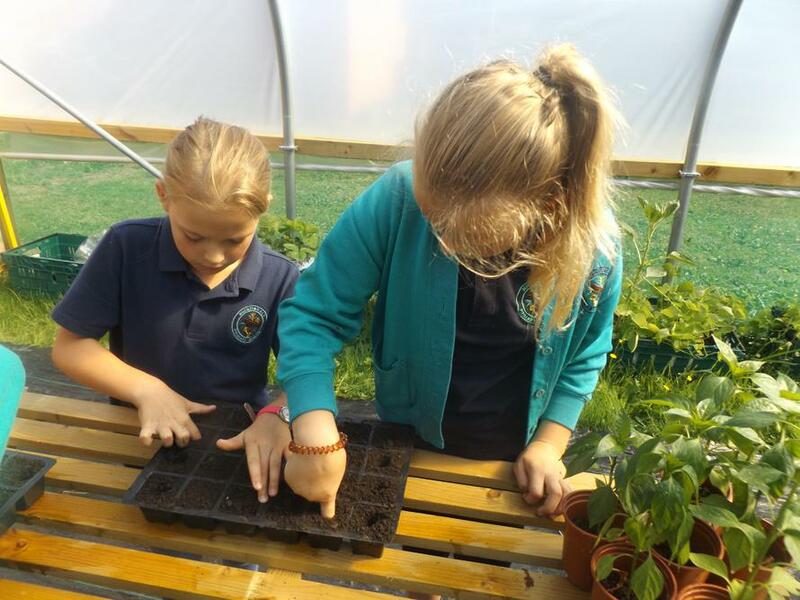 Mrs Hole made some planters to go inside the polytunnel and children started to plant out their seedlings including chilli plants, carrots and beans. 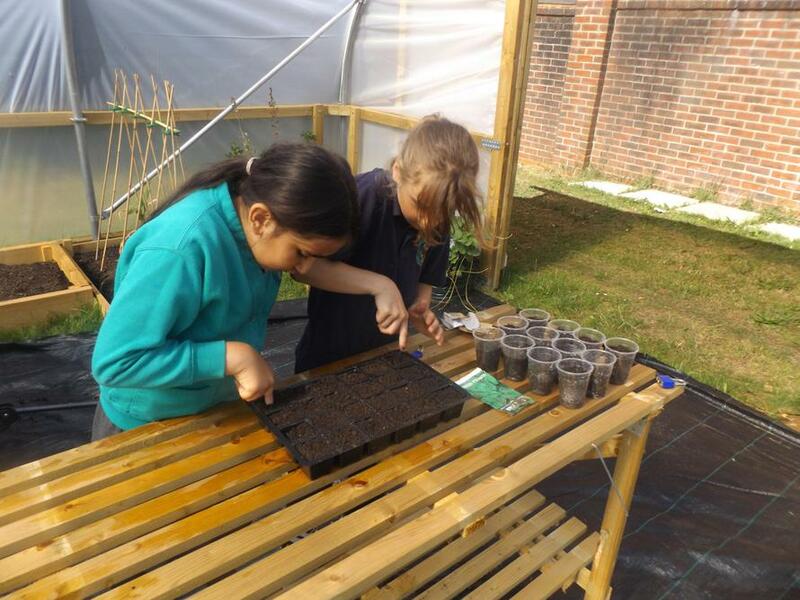 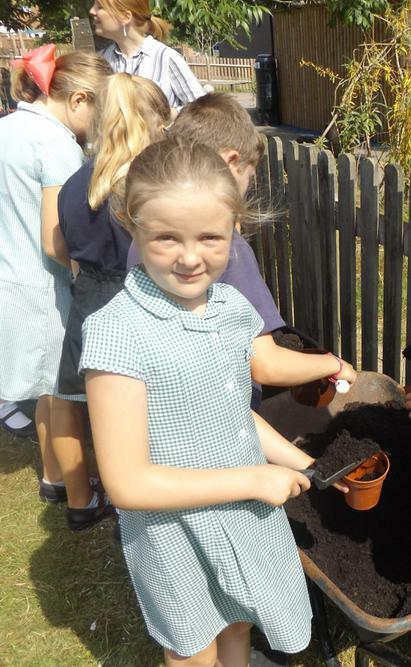 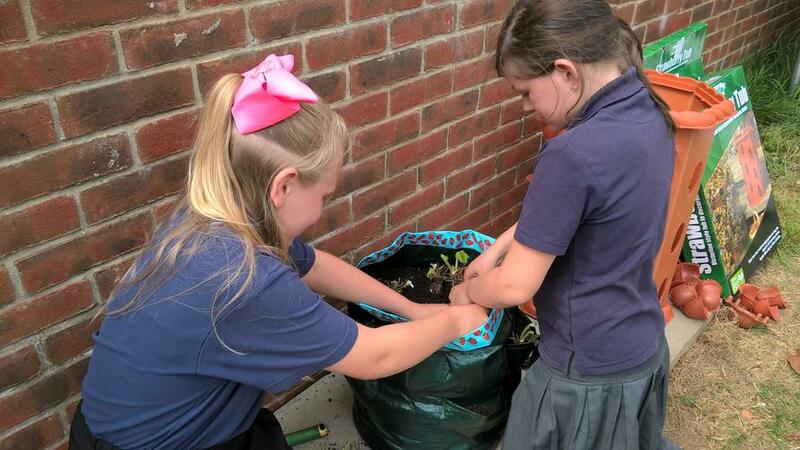 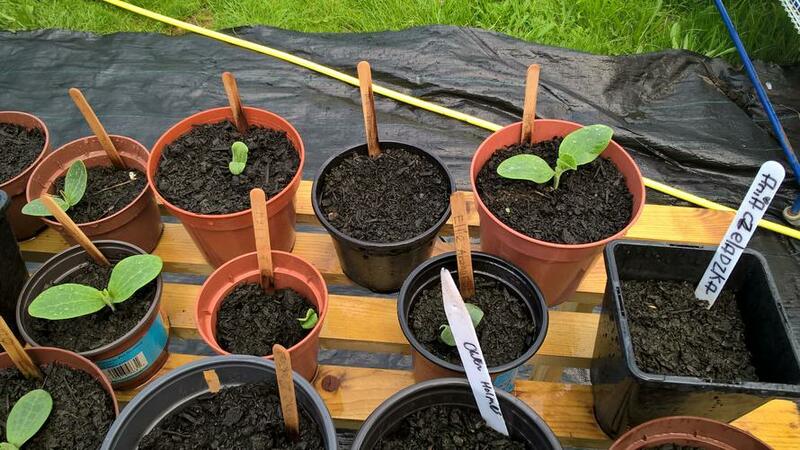 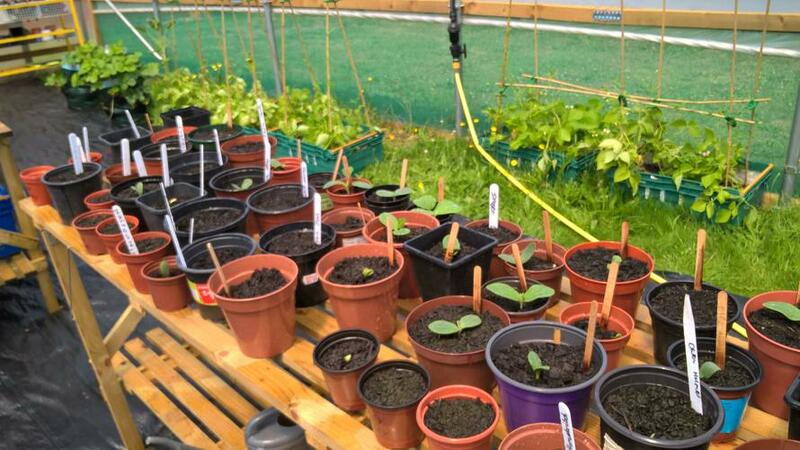 They also started planting needs seeds to grow pumpkins, tomatoes and beetroot. 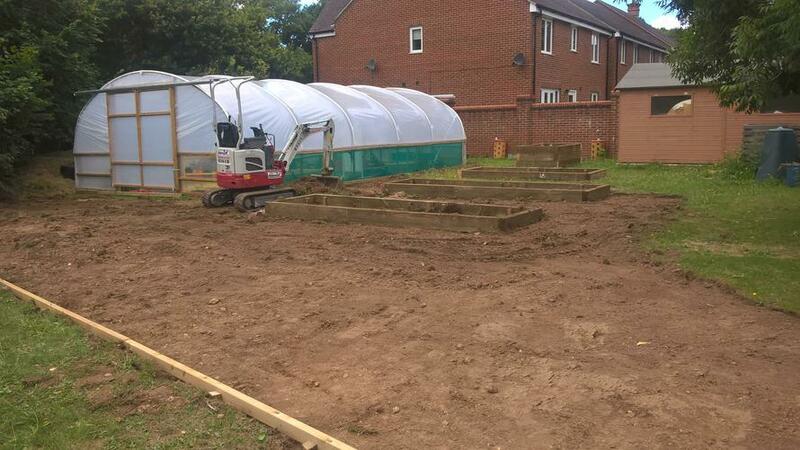 Work starts on the pathways for the polytunnel which will give children access all through the year enabling them to take part in more growing and developing their knowledge. 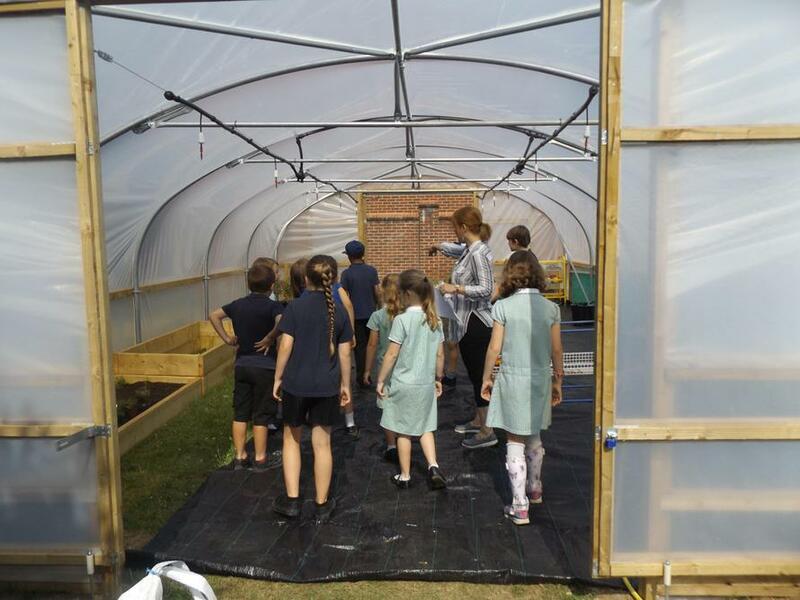 This included the installation of some rather large raised beds for the children to grow their crops, including a high level bed for those with disabilities. 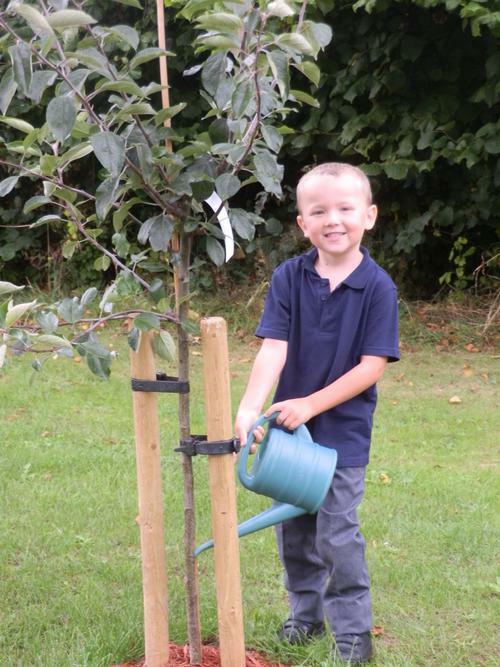 Hurrah - The pathways are finished during the summer holidays and the new area looks fantastic! 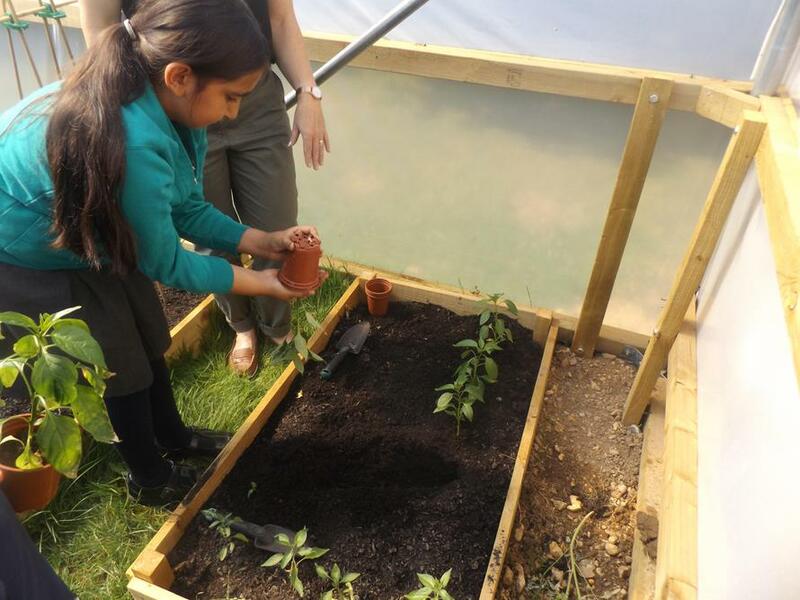 Children will be able to start using the new allotment area in the Autumn term. 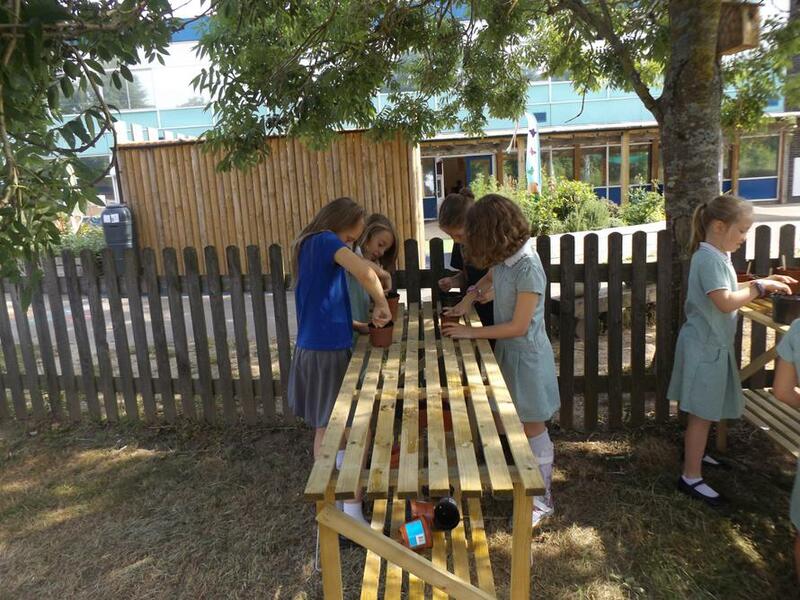 We will shortly be purchasing some new picnic tables to add to the area which will allow a class to sit in the new area and learn in their outdoor classroom! 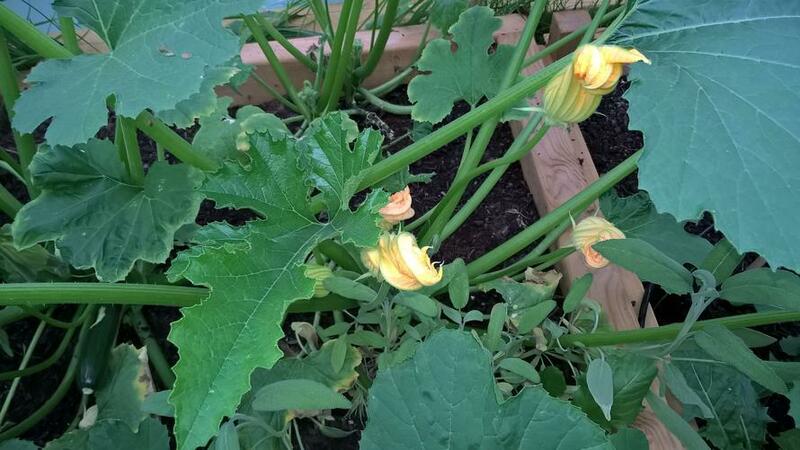 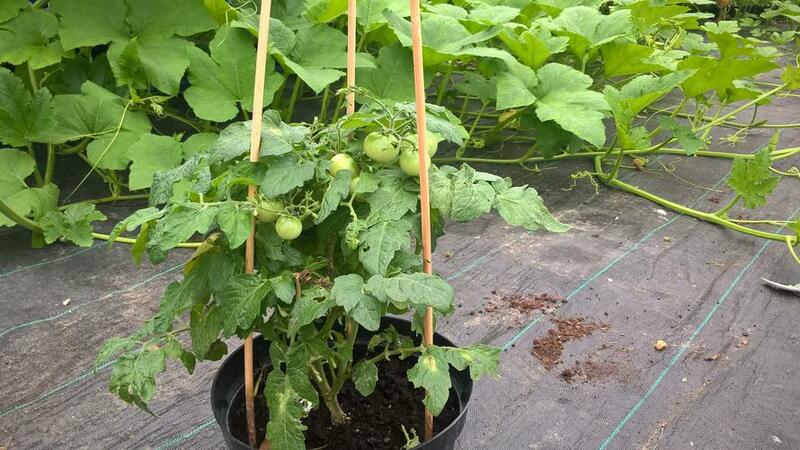 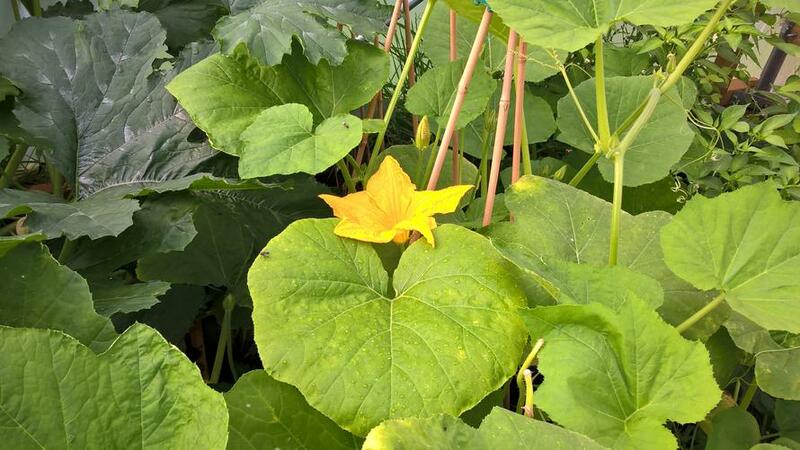 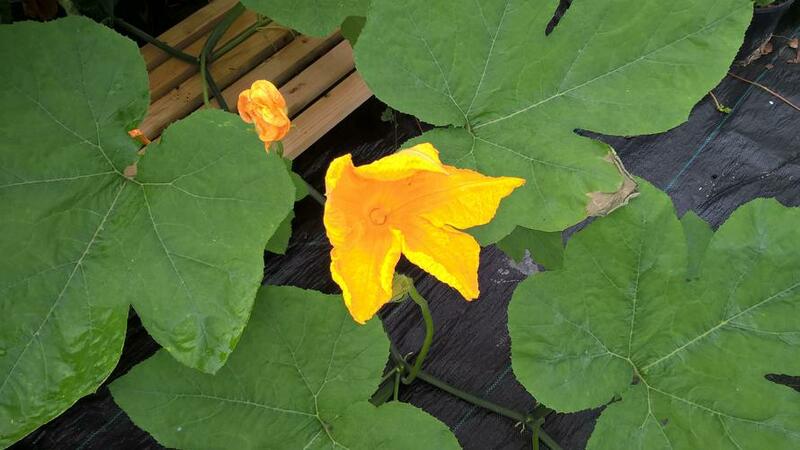 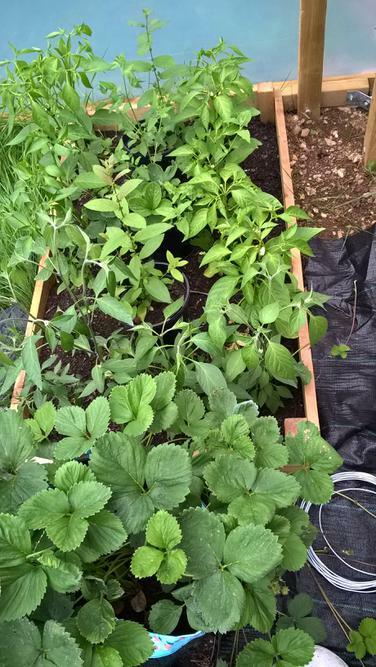 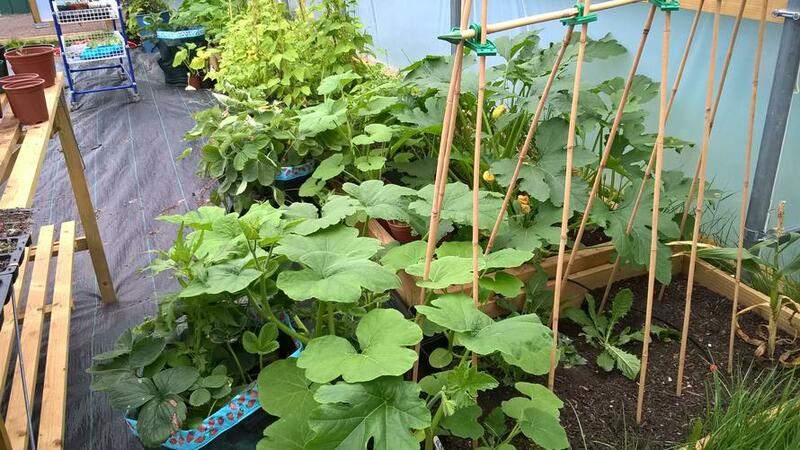 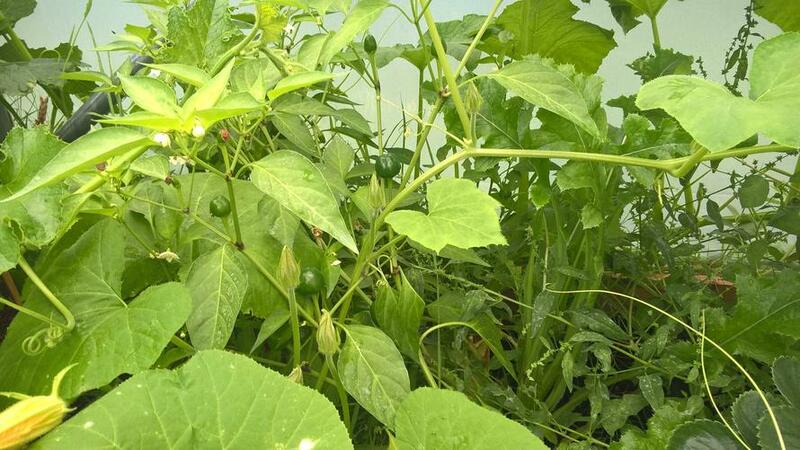 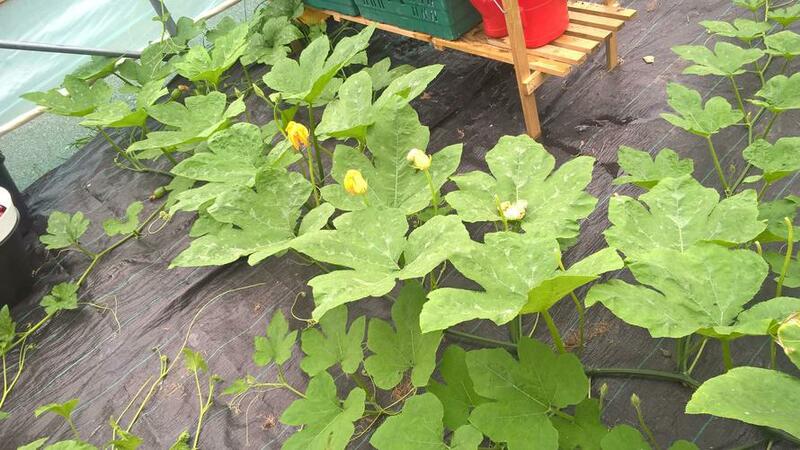 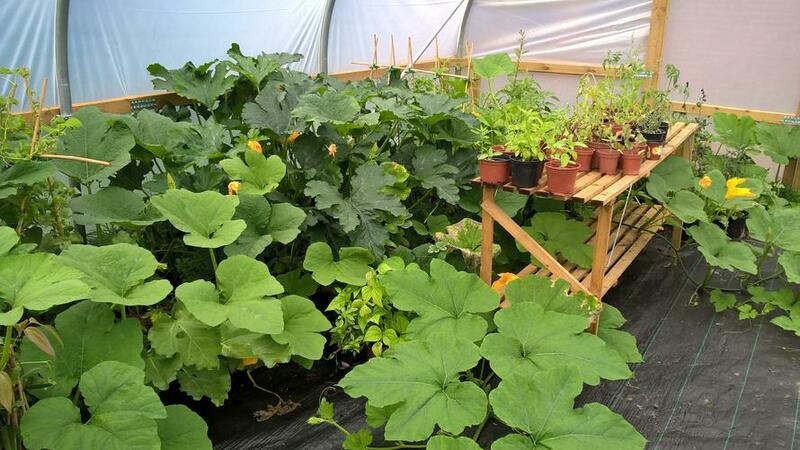 Please enjoy these photos of the allotment use so far!